In-Depth: San Francisco’s $461 Million Transit Contract Will Support NFC Ticketing but Not Open-Loop Contactless Payments | NFC Times – Near Field Communication and all contactless technology. Transit agencies serving the San Francisco Bay Area are upgrading their fare payments system, Clipper, but are holding off on supporting open payments. But the fare payments revamp contract will not include support for open payments from contactless bank cards or banking credentials on NFC phones. 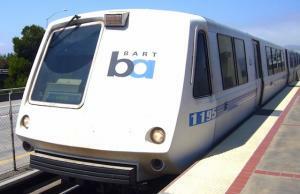 While open payments is designated as an option for later, Bay Area transit agencies and operators in their procurement documents are downplaying the idea in favor of keeping closed-loop Clipper as the dominant means that riders will use to pay for rides on trains, buses and ferries. That decision generally runs counter to a trend among major transit agencies that are upgrading their fare payments systems, including those in North America, where New York and Boston have let contracts within the past year for next-generation fare systems that include open payments, also known as open-loop payments. In addition, authorities in Chicago, Vancouver and Portland have already launched open payments, with Philadelphia also planning to add the service to its updated fare collection system. Article has about 2880 words.